According to Liam McHugh, World Coal Association Policy Manager, Petra Nova demonstrates technical potential, but that's just one side of the coin. The WCA is the global network for the coal industry. Formed of major international coal producers, it works to demonstrate and gain acceptance for the fundamental role coal plays in achieving a sustainable, lower carbon energy future. In discussions about pathways for reducing emissions, carbon capture use and storage (CCUS) is considered a key technology in the low-carbon portfolio. Over the course of the last 10 to 15 years - despite this potential – CCUS deployment has experienced a number of well-recorded challenges. These challenges have led to suggestions, in some quarters, that progress toward deployment is at a standstill. These claims are at odds with many of the recent efforts by stakeholders that have sought to promote carbon capture in international climate discussions and to advance the thinking around the appropriate policy support to progress its wide-scale deployment. For instance, CCUS was a prominent feature at the recent 9th Clean Energy Ministerial (CEM9). While it may be too early to suggest this mark’s an inflection point in CCUS progress, developments are encouraging. It was therefore timely that in May the World Coal Association (WCA) and several of its member companies visited the recently commissioned Petra Nova facility outside Houston, Texas. The post-combustion coal-fuelled plant takes a 240 MW equivalent slipstream of flue gas from the host coal facility and captures 90% of the CO2 from the flue gas, which equates to up to 1.6 million tons of CO2 annually. 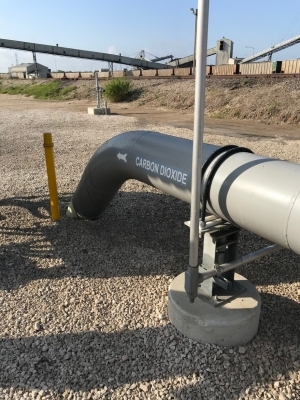 The captured carbon is used for enhanced oil recovery at a nearby oil field where it has boosted oil production from 500 barrels per day to currently more than 5000 barrels per day. The revenue from selling the increased oil production helps to make Petra Nova more commercially viable. In recent months, the commercial viability of carbon capture projects in the USA have been bolstered by Congress’s decision to significantly increase and enhance the Section 45Q Tax Credit for Carbon Dioxide Sequestration. The Petra Nova project is one example of how many countries are now working to position themselves at the forefront of cleaner coal technology. 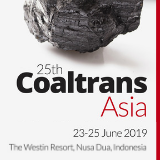 Enhanced support for innovation and commercialisation of CCUS technologies provides various economic benefits and has the potential to foster export opportunities for coal technology beyond local markets. This is especially relevant since demand for coal in power generation will be centred in developing economies, particularly in emerging Asia. As demonstrated by Petra Nova (and Boundary Dam before it), the challenges for CCUS deployment are largely commercial, not technical. While scope exists for further technological progress, CCUS has been proven to be a viable climate mitigation technology. The stall in CCUS deployment has come about due to a market failure: without a requirement or strong incentive to significantly reduce CO2 emissions there is little or no incentive for the private sector to develop and deploy CCUS technology. It is forecast that between 2020-2040, 2300 CCUS facilities will be required in order to meet climate goals – that is a pace of around two installations per week. Without doubt, this is a significant undertaking and a complex public policy issue. In order to deliver more plants like Petra Nova, a broad policy framework is required that can support the finessing of technology and provide incentives for the private sector to develop and deploy CCUS technology. Successfully managing the framework could encourage a virtuous circle of deployment with cost reductions gained from experiences across different project contexts. This will be critical in order for the Paris Agreement to be realised.